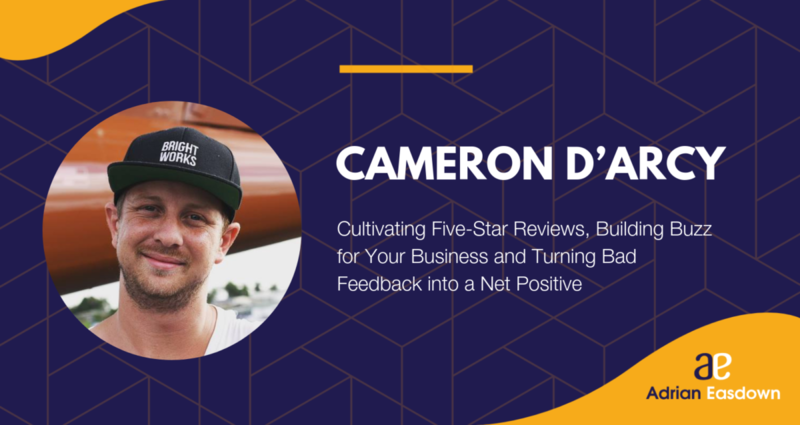 That Bad Review is a podcast about handling negative feedback in the accommodation industry, but it’s also a show meant to help you navigate the pitfalls of professional life. Our last episode featured Cameron D’Arcy. He’s the co-founder of both media production company Brightworks and Sierra Escape, a luxury eco glamping destination in Mudgee, NSW. Besides being super successful, he’s pretty mindful about who he is as a person and the legacy he leaves as a professional. This one is primarily about a lawyer who quit his profession at 25 years old to focus more on self-fulfilment and happiness than earning money and making it big in his career. There are a lot of great lessons in the book — goal-setting, the power of simplicity and how to inject purpose into your life, to name a few — but the main takeaway is to stop filling your mind with stress and worry. Worry less: it’s old advice, but it’s important. Stress will kill you faster than a lot of other things, and spending your working life fretting over deadlines and expectations is no way to live. “Not giving a f*ck” doesn’t sound like great advice for the accommodation industry, does it? Seems like a good way to have your TripAdvisor page littered with one-star reviews. But Mar Manson’s bestseller is more about letting go of the worries and stressors that permeate modern society. Finding something meaningful and important is pretty much the most important thing you can do in your life, Manson argues, and everything else is just flavour. Instead of freaking out about a new car, or a new promotion, you might limit your concerns to your family or work that helps others. Give this one a read for some good laughs and serious advice. The Magic of Thinking Big is about cultivating the things that most of us really want: personal property, financial security, power and influence, the ideal job, satisfying relationships and a rewarding and enjoyable life. It’s a little more ‘how to be successful’ than the other books mentioned, which are more focused on being satisfied with life. But it’s a great read regardless. Because at the end of the day, we want to be successful and share our success with loved ones. These books are just breaking the surface of inspirational reads for the office warrior. If you’ve got any more than changed how you view life, I’d love to hear about them. Listen to my entire conversation with Cameron here.